Angry Birds Seasons has just released a new update targeted at the springtime and more specifically the blooming of cherry blossoms. In Japan, now is the time to have hanami parties, which are great times to gather with friends, drink and eat and look at the cherry blossoms. Of course, Rovio doesn't want you to just view the flowers, Rovio wants you to pop some pigs. 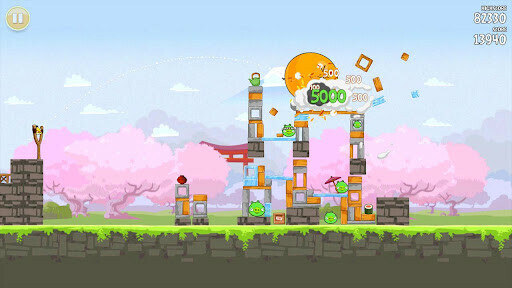 With that in mind, the new update to Angry Birds Seasons adds 15 levels set in Japan for a Cherry Blossom Festival. You'll play with the sakura blossoming in the background along with Mt. Fuji. Aside from the new scenery, it is still the same old Angry Birds though, so if you enjoy that, you'll enjoy the update. 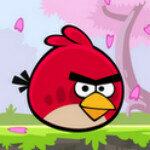 If not, well... why would you even be reading this article if you don't like Angry Birds? If you are interested in the new update, it is available for free in both the iTunes App Store and the Android Market Google Play Store.